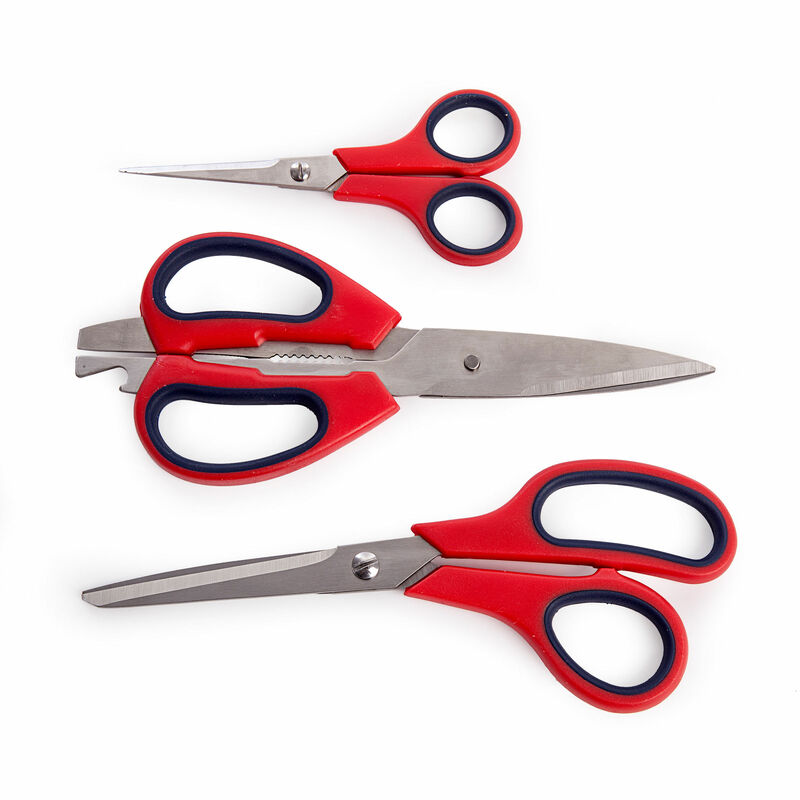 An 'everyday essentials' set of three pairs of high performance scissors. 140mm/5.5" snips, 205mm/8" general purpose and 205mm/8" multi-purpose featuring a bottle opener, can opener and nut cracker. Stainless steel blades. Dishwasher safe.Ergonomic soft feel handles for user comfort.